Quantum on the Bay is a modern high-rise condominium comprised of two impressive towers. The project was completed in 2008. The building was masterfully developed by Terra Group while the design was elaborated by Nichols, Brosch, Sandoval and Associates. Quantrum on the Bay is perfectly located in the famous Arts District of Miami right across the street from Biscayne Bay and picturesque eight-acre Margaret Pace Park which is a great place for a BBQ party, with picnic tables, children’s playground, tennis courts, basketball and volleyball courts. 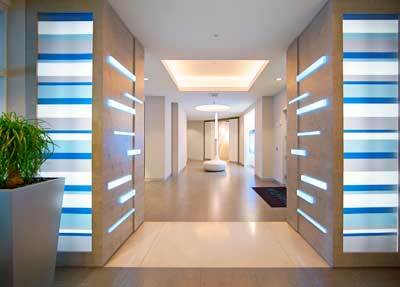 Quantum on the Bay condos: From the pampering spa to state-of-the-art access system. Inside, you’ll enjoy the ultimate in features, services and amenities for work and play. And just outside, you’ll find more to enjoy including the exciting cultural events at the new Carnival Center for the Performing Arts and fresh air exercising at the recently renovated Margaret Pace Park. 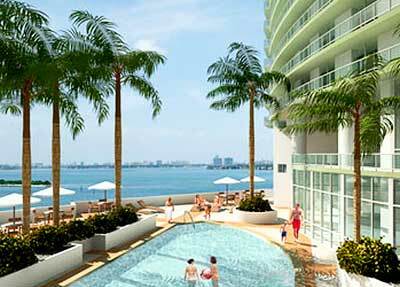 Quantrum on the Bay is a luxury bayfront condominium that offers a variety of unparalleled amenities and services. To begin with, Quantrum on the Bay has a magnificent bayfront location. Life in a bayfront setting has never been that comfortable! Amenities include a beautiful Porte-Cochére lobby entry, followed by an exquisite lobby designed by The Interiors Group, ground level retail spaces, a state-of-the-art two-story fitness center with weights, cardio machines and a yoga and pilates room. There’s plenty of entertainment. 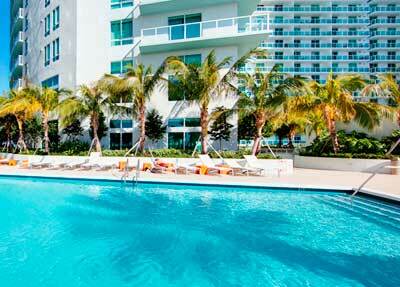 Visit a landscaped pool deck with views of the bay, take a dive in a beautiful tropical pool or relax in a sauna. What’s more, Quantrum on the Bay features a two-story party room with catering facilities, a theater room, a billiards room and a business center. Furthermore, amenities and services include 24-hour valet parking, high security monitoring system, 24-hour concierge services, high-speed elevators and many others. Quantrum on the Bay literally has everything to make your life as comfortable and easy as possible. 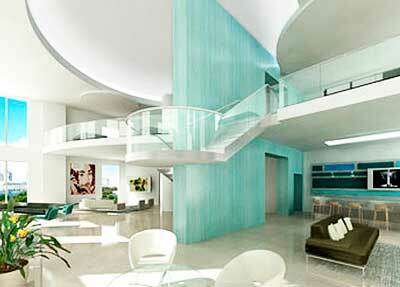 Quantrum on the Bay feature 698 residences equipped with first-class amenities. Residences range in size from 594 to 2255 square feet. 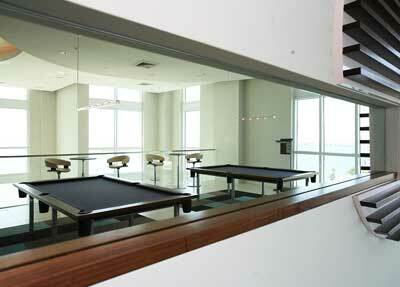 Quantrum on the Bay offers 3 types of units – lofts, flats and penthouses. There are studios, 1, 2 and 3 bedroom residences. Amenities include 9-foot ceilings in Tower residences, 10 in Penthouses and soaring 13 feet in lofts, floor-to-ceiling high-impact glass doors and windows allowing for breathtaking and unobstructed views of the Biscayne Bay, Downtown Miami and Margaret Pace Park, tinted, tempered glass that meets hurricane codes, spacious private balconies with sliding doors, elegant European-style kitchens and spacious walk-in closets. 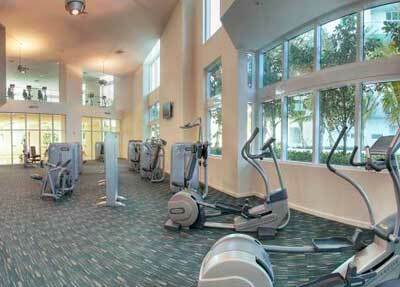 All the residences are pre-wired with ultramodern fiber optic high speed Internet and cable TV. What’s more, there are modern washers and dryers in all the residences. Quantrum on the Bay always lives up to the highest expectations. It’s always ready to provide every single guest with unquestionable comfort, a great deal of style and unprecedented class. It’s high time to make a difference. It’s high time to become truly happy!